More than two decades after its original broadcast, Batman: The Animated Series remains one of the most insightful and most elegant distillations of the Batman mythos. While the show was on the air, DC published a variety of tie-in comic books featuring a variety of talent. Some of these count among the best Batman stories of the nineties, and it is a shame that DC has not done more work to keep these in print. 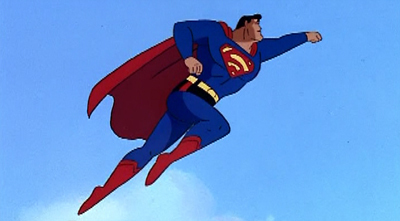 Indeed, it is a surprise that DC has never thought to produce a suitably deluxe or high-profile collected edition of the work that Mark Miller did on the tie-in to Superman: The Animated Series. However, it is worth noting that DC did make a nice gesture by offering the first issue of The Batman Adventures as their free comic book day issue in 2003. It is much more appealing free comic book day than a collection of promotions or previews. 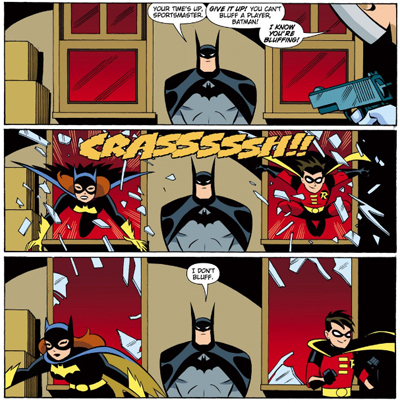 The Batman Adventures was a tie-in comic published within the animated continuity while the animated Justice League was still on the air. However, it was written after the end of The New Batman Adventures. As a result, it had a lot more freedom than the comic books that had been published in tandem with the animated series. 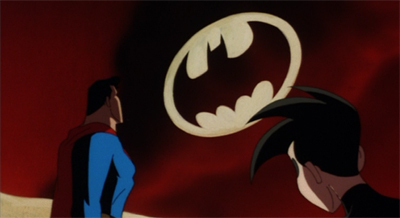 The Batman Adventures was no longer a supplement to a television show set in Gotham, it was the only continuing glimpse at this version of Gotham. The Batman Adventures was a wonderful inclusive comic book – it was appropriate for children, it was accessible to people with only a casual familiarity with the world of Batman. In many respects, it was the perfect “free comic book day” comic. A light, fun read with a clever take on Batman and his world. 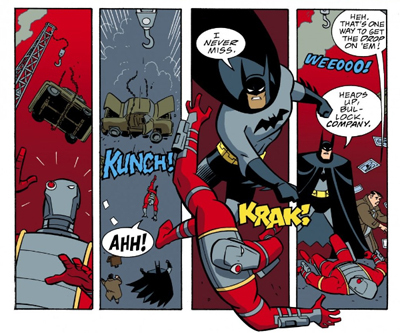 The Batman Adventures is a fantastic little book that ended far too soon – a demonstration that comics don’t need to be “adult” or “mature” in order to be smart or fun. Batman is a character who thrives on reinvention and reimagining. The character has over second decades of interpretations behind him, covering a wide range of portrayals. He has been Adam West’s camp crusader, Tim Burton’s gothic outsider and Christopher Nolan’s urban warrior. In the comics, he’s undergone an even more diverse series of changes and reworkings. Beware the Batman is the latest animated series to focus on the Dark Knight, offering a take quite distinct from the variety of animated interpretations we’ve seen in the recent past. Adam West’s Batman! occasionally gets a bit of a hard time. Opinion has softened somewhat in the past decade or so, as pop culture has seemed increasingly willing to embrace camp, but there was a time when the sixties television show was unfairly dismissed and mocked for its bright and cheerful portrayal of the Caped Crusader. I’ve always found that a bit unfair, as Batman owes a considerable amount of his pop culture cache to that show, as an entire generation grew up with Adam West’s ham-tastic take on the Dark Knight. 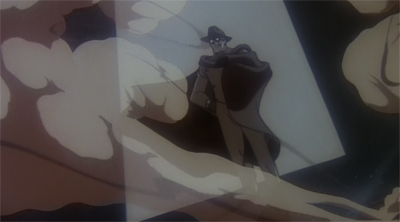 Evidently, Bruce Timm and the producers of Batman: The Animated Series understood that, and Beware the Grey Ghost is an affectionate shout-out to that earlier iteration, effectively allowing Kevin Conroy’s grizzled Caped Crusader to recognise Adam West as one of his defining influences. Starcrossed serves as something of a grand finalé to the first two seasons of Justice League. At the time it was written, Timm and his fellow creators weren’t assured of another season. When they did get another season, the show was massively revamped – repracing the team of seven with a much broader cast of characters, scaling down the multi-part episodes to stand-alone adventures, and building on its own themes. As such, Starcrossed can be seen as a conclusion to this era of the show, tying up loose ends and also serving as an impressive showcase for each of the major character featured.